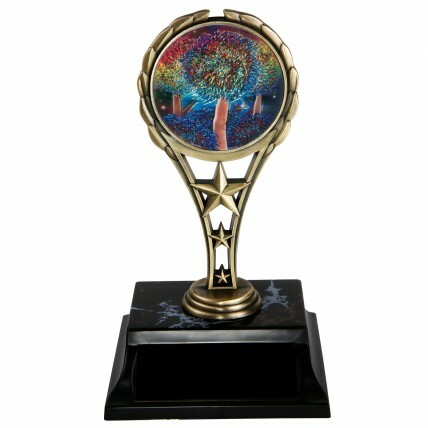 Our Drill Team Rising Star Action Trophy is also great for pom squads, dance teams, drill teams and cheer squads! It features a premium brass figure with an antique-gold finish on a simulated black marble base. Inside the figure is a holographic image of red, white, and blue pom-poms. Measures 6 inches tall.